Shri Narasimha Saraswati, about three centuries before the advent of Swami Samarth is believed to be the earlier incarnation of Shri Dattatreya. The 'Guru Charitra' one of the most famous books gives lot of information about Him. As per the most popular belief, Shri Narasimha Swami, after helping and spiritually uplifting a large number of people over a few decades, went away to the Himalayas for penance and went into Samadhi. In the Samadhi state He remained for about three hundred years. With the passage of time a huge anthill grew over him and he was lost to the outside world. One day accidentally a woodcutter’s axe fell on the bushes grown around the ant hill. He was shocked to find blood stains on the blade of the axe. He cleared the anthill and Lo, he found a Yogi in meditation. The Yogi slowly opened his eyes and consoled the dumbfounded woodcutter saying that it was the Divine Will for Him to re-appear in the world to resume His mission. This Yogi, in his new role came to be known as Swami Samarth. Prior to his settlement at Akkalkot, Swami Samarth visited far and wide. While moving in the Himalayan region he visited China. Thereafter, he visited places like Puri, Benaras, Hardwar, Girnar, Kathiawad and Rameswaram in the South. He also stayed at Mangalvedha, a town near Pandharpur in Solapur district Maharashtra, which had been inhabited earlier by famous saints like Domojipant and Chokhamela. He came to Akkalkot in 1856 where he continued his physical existence for 22 years. He came to Akkalkot on the invitation of one Chintopant Tol and stayed at a place on the outskirts of the town. Shree Swami Samarth one day suddenly announced that the time had come for him to go out of his physical existence. By Hindu calendar it was Chaitra Vadya Trayodashi of Hindu year 1800, i.e. April 30, 1878 AD, Tuesday at 4 PM. At this time he seated himself in Padmasana (Lotus Posture) and uttered his last words - "no one should weep I shall always be present at all places and I shall respond to every call of the devotees." The great sage adopted MahaSamadhi [the last conscious communion with God] under his favourite Banyan tree. The divine game (leela) of Shree Swami Samarth did not end with his Maha Samadhi (shedding his mortal coil). His devotees continue to experience the miracles of his visible and invisible help even till today. The royal family of Kolhapur employed Vishnupant, a devotee of Swami. One day Swami said to him, "You will have to go away for some time. But do not worry for I shall arrange to bring you back". Vishnupant could not understand Swami’s prophetic words. A few days later, he received a transfer order from his office. He now understood what Swami had said. Vishnupant went to bid Swami Goodbye. He bowed to the sage for his blessings and proceeded to another village to resume duty. As he was staying alone, he set his daily routine thus. He would go to work the whole day. Then he would come home and finish his household chores and errands. Later in the evening, he would sit in front of Swami’s photograph, light an oil lamp, burn incense and sing devotional songs. He would finish this devout session with the aarti. One day around the same time, Vishnupant’s neighbor saw a man who had the appearance of an Avadhoota [It is also one of the sixteen prominent names of Lord Dattatreya. Usually those from Lord Dattatreya’s Avadhoota lineage are bachelors, wear deerskin, rudraksha ( a tree seed ) beads around their waist, wrists and neck. They carry the kamandalu (water pot) in one hand and the trishul (trident) in another hand. They smear themselves with vibhuti (holy ash) and carry a saffron color bag) leaving Vishnupant’s house. Being curious, he kept a watch the next day. When he saw the Avadhoota leave, he stopped him and inquired about his presence. The Avadhoota replied that "Vishnupant sings with such great devotion, that I come specially to listen to him". Not satisfied with his answer, he decided to question Vishnupant about the Avadhoota’s identity. When he asked Vishnupant, the latter was in tears. He realized that unknown to him, Swami was daily visiting his house in disguise. He said to his neighbor, "My friend, you are very lucky as you are able to see my Guru Shri Krishna Saraswati Swami everyday". After a brief stay here, Vishnupant was transferred back to Kolhapur. Thus Swami kept his promise to his devotee. Vishnupant had a younger sister named Laxmi. She was married off to a widower with two small sons. They lived at Bedagagram. Soon her husband procured employment at Kolhapur, therefore the whole family shifted there. Vishnupant arranged for all of them to stay at his house. Thus Laxmi also started visiting Swami along with her brother. On one such visit, Swami blessed her with two more children. However Laxmi gently declined Swami’s blessings by saying, "Swami, I do not want more children. My attitude towards my sons may become step-motherly if I have children of my own. I do not want to disturb the peace in my house". Swami laughed. Although Laxmi’s views were unconventional, it proved that she was good-natured and kind at heart. A few days later, Laxmi saw a dream. In the dream she saw four Muslim fakirs come to her house and ask for one anna (sixteenth part of a rupee in the Indian currency). They gave her a coconut as prasad. When she woke up, she could not decipher the meaning of the dream. In the morning her husband and brother went to work. After a few hours, four Muslims fakirs really came to her house and called out to her by name. She was shocked to see that they were the same as seen by her earlier in her dream. They were even wearing the same garments. They asked her for one anna and wanted to give her a coconut as an offering. Frightened out of her wits, she went inside the house to consult the elderly women of the family. They told her not to accept anything as these unknown strangers might be practicing black magic. She, therefore, politely refused to accept the coconut. In the evening when the men came home from work, they were briefed about the happenings that occurred earlier that day. On hearing this, Vishnupant was furious. He rebuked Laxmi by saying, "Don’t you know that at noon Lord Dattatreya visits his devotees. You did not do the right thing by refusing the prasad". All the family members were perturbed and confused. The whole family went to seek Swami’s reassurance. Vishnupant apologized to Swami for Laxmi’s behavior and asked what they could do as repentance. Swami asked them to wait. After some time, the same four fakirs entered the mathi. They bowed to Swami and placed the coconut in front of him. Then, they immediately left. Swami called out to Laxmi and gave her the same coconut saying, "Accept whatever is given with grace. Do not refuse it". In due course of time, Laxmi gave birth to a beautiful daughter. After twelve days, Laxmi brought her daughter and placed her at Swami’s feet for blessings. Swami happily took the baby on his lap, touched her nose, kissed her and pronounced, "My lovely child. Name her Mukta (God-realized)". A widow named Yesubai lived with her father in a village called Alate. She was of a religious bent of mind. She spent her time chanting Lord Vithoba’s name. She would often attend the various religious discourses that were held in their village temple. One day in such a discourse, she heard the orator say, "Life is useless if you cannot find the right Guru. Only a Guru can take you onto the spiritual path". This statement made a profound impact on Yesubai’s mind. She started praying to God to send her the right Guru. In her quest, she met many spiritual people, scholars and sanyasi, but none impressed her. She not only wanted the right Guru, but she built up his image of being a bachelor and one who was free of worldly affairs. Although she intensified her search, it was all in vain. Nevertheless, she kept on with her practice of chanting Lord Vithoba’s name. One day, a pious Brahmin visited her house. He said, "I am from Pandharpur. I am on my way to visit Audambara (holy place near Wadi where Lord Narasimha Saraswati stayed for sometime, to date his padukas are worshipped there). Could you provide me with food today?" Attracted by the radiance exuding this man, Yesubai gently requested him to take a seat while she prepared his meal. While cooking, Yesubai started to wonder, "This man looks gloriously brilliant. Perhaps he is a saint. Or he may be Lord Vithoba in disguise. But if that is the case, why should he go to Audambara? Anyway, should I request him to become my Guru?" While serving food, Yesubai started talking with the guest. In the conversation, the guest revealed that his wife and children lived in Pandharpur. Yesubai was once again disappointed. After finishing his meal, the guest looked at Yesubai’s crest-fallen face and inquired, "You look worried. If you tell me, I may be able to solve your problem." Yesubai then unburdened herself. She told him about her search for a bachelor Guru. The guest smilingly blessed her saying, "Your wish will be fulfilled soon. On the first Monday of the next month Kartika, you will receive an invitation where you will meet your Guru". Saying thus, he bid her goodbye. It set Yesubai thinking that her guest must have been an extra ordinary man to predict such details with absolute certainty. After a couple of weeks, Yesubai’s father received a court notice to appear for a case in Kolhapur. Since the court work would take considerably long time, her father did not like leaving her alone at home so long. He therefore decided to take her along with him to Kolhapur. Thus, father and daughter came to Kolhapur and stayed with some relatives. One day the women of the household and their neighborhood decided to visit Swami. They revealed their plans to Yesubai who eagerly accompanied them to the mathi. All the women in turn bowed to Swami for his blessings. When Yesubai touched his feet with reverence, he laughingly asked her, "Today is the first Monday of Kartik. Did you meet your bachelor Guru?" Yesubai was rendered speechless. Now she realized who her saintly guest was and how he had accurately predicted this meeting. It was Swami himself who had visited her and arranged for her meeting . He had arranged for her father’s court case to act as an invitation to her to visit Kolhapur. She surrendered to Swami and became an ardent devotee. Swami had yet another pious devotee named Rama Pujari who used to visit him regularly. He had an old mother. He used to plead with her to come and seek Swami's divine blessings. But the old lady was adamant and would criticize his foolishness for worshipping a mere human being. One day Rama visited Swami. He was heart broken at the nasty remarks his mother had made about Swami earlier that day. Suddenly Swami looked at Rama and said, "Do not worry Rama. We will arrange to put a person on the right track." Rama did not understand what Swami was indicating. A few weeks later, Rama’s mother asked him to take her to Pandharpur so that she could pay her respects to Lord Vithoba. Rama asked Swami for permission and received it immediately. Both mother and son set out to visit Pandharpur. The day they reached was an auspicious day – the eleventh day of the month of Magha. Many devotees had come to pay their respects resulting in a heavy rush. It was impossible for Rama to enter the temple with his mother in tow. He therefore made her sit in a corner and went to request some temple priests to allow them to enter through another entrance used by the staff there. Rama’s mother had waited for just some time when an old man with a long flowing white beard approached her. He disclosed to her that he too was a devotee of Shri Krishna Saraswati Swami of Kolhapur. He had accompanied Swami to Pandharpur and in fact Swami was seated on the other side of the temple. He then requested the old lady to sit on his shoulder so that he could carry her inside the temple to get the darshan of Lord Panduranga (another name of Lord Vithoba). The mother sat on the old man’s shoulder. Within a second, he carried her inside the temple and stood directly in front of Lord Panduranga’s idol so that the old woman could view the Lord at close quarters. After the darshan, he carried her back and seated her in the same place as before and left hurriedly. In the meantime, Rama came back disappointed and dejectedly told his mother that in the heavy rush he could not get the special permission and therefore, they would not be able to enter the temple. His mother laughed at him and said, "I have already been into the temple and paid my respects to Lord Panduranga". She narrated to him all what had happened. Rama was almost in tears. He said to his mother, "Were Swami visiting Pandharpur, I would have been informed about it. You criticize Swami all the time, yet he came in disguise to carry you inside the temple". The shocked woman understood her folly and felt ashamed of her nasty behavior. On their return to Kolhapur, she visited the mathi and sincerely begged for repentance. She totally surrendered to Swami. Now Rama understood what Swami had meant by saying, "We will arrange for a man to put her on the right track". Rama Mang was a devotee who used to visit the mathi daily. He envied Krishna Lad for getting the chance to carry Swami on his shoulder. Rama used to silently wish he could get the same chance at least once. He never expressed his wish to anyone, not even to Swami. He was under the impression that no one would let him fulfill his wish as he belonged to a lower caste. But how anything could be hidden from the omniscient Swami. One day Swami made a strange request to Rama. He said, "Give me a horse and your wish will be fulfilled". Rama was ecstatic. He purchased a small built horse. It was simply perfect for Swami to sit on. Rama handed the horse over to the mathi to the delight of the disciples and devotees. Every evening, Swami would dress up in a white kurta (long shirt) with a saffron shawl perched on his shoulder and a green cap covering his head. Swami would ride on the horse with a devotee holding high a colorful decorative umbrella over his head. Other devotees would walk behind him carrying various other religious paraphernalia. They would all form a procession singing devotional songs in chorus, especially the chant "Digambara Digambara Shripad Vallabh Digambara" This colorful procession was a sight to behold. One day Swami expressed his desire to go thus, all the way to Wadi. Therefore the entire procession proceeded to Wadi with Swami leading up front. That day Ram happened to be holding the reins of the horse. As they neared Wadi, Swami asked him to carry him on his shoulder. Thus Swami fulfilled Ram’s heartfelt wish. When Swami and his devotees reached Wadi, they first proceeded for a ritual dip in the sangam (confluence where the river Krishna meets river Panchganga). They then went to offer their worship to Shri Narasimha Saraswati’s padukas. After their darshan, they immediately proceeded to Shirole village. At the outskirts of the village, Swami stopped the procession. A while later, a woman carrying a water pitcher passed by. Swami called out to her, "Yamabai, please come here. Take this coconut. You have my blessings. You will soon have a son. You may go now". Swami with his entourage proceeded to Miraj. They went directly to the house of Malambhat Joshi, a distant relative of Swami. Malambhat’s wife was seriously ill. She had a long history of abdominal swelling with severe pain and cramps. Medicines had proved futile. Every moment she prayed earnestly, "O Lord Datta! Please save me". When Swami entered the Joshi household with his devotees, Malambhat was very happy to see them. He bowed reverentially at Swami’s feet and said, "Brother, I have heard many beautiful stories about you. I have heard that you are known as Datta Swami. Please help and save my wife". Swami went to the backyard of the house that had many trees. From one curd-apple tree, Swami plucked a few leaves and handed them to Malambhat to extract its juice and give it to his wife to drink. Swami’s instructions were carried out immediately. After a few minutes, she passed a large amount of urine and she recovered immediately. The lady who had been sick and bed-ridden for so many months got up and bowed gratefully to Swami. Neither Swami nor the devotees had eaten anything since they started from Kolhapur two days ago. Swami said to the lady, "We are all very hungry, can you feed us something?" The lady enthusiastically cooked and served a hearty meal to all. However, Swami did not eat anything. After this visit, Swami and the devotees proceeded to pay their respects at the samadhi of the famous saint Annabua Mirajkar. This tomb is situated in the center of the city of Miraj. As Swami entered the place, a voice from within the tomb spoke, "Krishna! I am so happy to see you here. Seeing you, I felt as if Shri Swami Samartha has come to meet me". Swami replied, "Anna, You really flatter me! But then, both of us are one and the same". Many devotees at the samadhi temple heard this conversation between the two sages. The news that Anna had spoken from his grave with Swami spread through the entire city like wild fire. People rushed to procure Swami’s blessings – for health, wealth, employment, marriage, and children. There was such a heavy rush that Swami could not get a moment free. Around noon, amidst the crowd, Swami was heard murmuring to himself, "I must go to see Bhaskar". And lo behold! He disappeared then and there from the sight, in front of the pushing crowd. There was a panic amidst his devotees. They could not fathom where Swami could have gone and for what reason. They were scared to face Tarabai’s wrath, in case she came to know that they had lost Swami. She would perhaps commit suicide. Helplessly, they started to softly chant the mantra, "Digambara Digambara Shripad Vallabh Digambara", praying fervently for Swami’s return. At the very same time, on the banks of the river, a pious man was conducting a charity feast. He was feeding the learned Brahmins and the priests. Nearby, a young man named Bhaskar was carrying out a rigorous penance and religious rituals and had been doing so since many days to get the darshan of Lord Dattatreya, and to procure his blessings. He prayed earnestly with great devotion and fervor besieging Lord Dattatreya, "O Lord! You who pervade everyone are being. You are my father, my mother, my brother, and my relative. You, who are everything to me, are known as the one who rushes to him whosoever calls earnestly, please come here. Please show yourself to me". Exactly at that moment, a stranger having the appearance of an Avadhoota showed up at that very spot. The persons in charge of the charity feast tried to oust the stranger. Witnessing the commotion, Bhaskar intervened, "Please serve him the meal. I will bear the cost". Naturally Bhaskar’s kind words made the host feel ashamed. The food was then served to the Avadhoota and to Bhaskar. After the meal, both the Avadhoota and Bhaskar went to a lonely spot where the young man bowed to the sage. He asked him questions on yoga (union of man and God) and meditation (the technique to achieve the same). To all the questions put forth by Bhaskar, the Avadhoota replied, "Come to Kolhapur and ask Shri Krishna Saraswati Swami. However, you won’t b able to see him in this form". So saying, the Avadhoota disappeared from that place. Swami reappeared amidst his now nervous devotees who were engrossed in their chants begging for Swami’s return. The moment the devotees saw Swami, they were once again cheerful and in high spirits. Swami then led them back to Kolhapur. Next day, Bhaskar came to Kolhapur to meet Swami. Swami blessed him and gave him a spiritual initiation. Needless to say that Bhaskar achieved an ultimate position in yoga. There was a devotee who used to visit the mathi daily. He owned fertile fields that gave him very good yield. He was therefore very prosperous. He lived happily in a beautiful house with his two wives and many children. He was a pious man and very kind hearted. He gave lots of money to charity. His wives did not like this. They hatched a plan with their brothers and got the control of his business transferred into their hands. Then onwards every month, they gave him a paltry sum to meet his personal expenses. It caused him a lot of hardship and sadness. Nevertheless, he would spend the little money he would get for charitable causes. One day, he happened to see some pilgrims going to Pandharpur. He also had the urge to go. He went to the mathi and asked Swami for permission to undertake the pilgrimage. He got it at once. He took a few sets of clothes and started walking, as he had no money to hire a bullock cart. As he reached the outskirts of Kolhapur, he saw a farmer atop a bullock cart. The farmer called out to him and told him that if he was going to Pandharpur, he could hitch a ride with him. The devotee replied, "I too am going to Pandharpur, but I have no money to pay you". The farmer good-naturedly ribbed him, "Who is asking for the money? I want some company to Pandharpur and back". The devotee was more than happy to get the lift. The farmer was a jolly good fellow. He met all the expenses of their food and lodgings throughout the journey. They also were lucky to have a good darshan of Lord Vithoba at his temple at Pandharpur. In fact, the entire trip was a pleasant experience for both the men. When they returned, the devotee requested the farmer to come to his house, so that he could repay the expenses he had borne on his behalf. But the farmer refused. He told the devotee that the question of his coming to the devotee’s house did not arise as he was not going into the city and was proceeding elsewhere. What’s more, bearing his expenses was his pleasure entirely. But the devotee was adamant that he would not let the farmer go without the payment. He requested him to wait at that very spot on the outskirts of the city and hurried to return with the money. When he came back with the money, to his utter dismay, the farmer was not there. It dawned on him that throughout the enjoyable trip, he had not even had the courtesy to ask the farmer his name or whereabouts. Feeling very guilty and dejected, he sat there with a heavy heart. He sat there throughout the night till sleep overpowered him. Just before dawn, Swami appeared in his dream and said, "My son, go home now. You have sat long enough waiting for the farmer? In any case, he will not come back". The devotee now realized that it was Swami who had come in the guise of the farmer to give him a pleasant trip to Pandharpur and back. What we call miracles are the normal ways of functioning of the God realised ones. The Risaldar of that area, a Muslim person, wanted to test the Swami by offering him a 'Chilum' (an earthen smoking pipe) without tobacco in it and asked him to smoke. Swami Samarth started smoking the empty Chilum after lighting it as if nothing had happened. Realising him to be an advanced spiritual person, the Risaldar apologised and made arrangements for his stay in the house of one Cholappa. It is in this small house that Swami Samarth lived upto his last. Soon, the name of Swami Samarth as a Spiritual Master spread all around and devotees came for taking his blessings. The ordinary people did not understand many of his gestures and mystic statements, which he used to make cryptically, although their meanings became apparent on later dates. He treated Muslims, Christians and Parsees all alike. His Kindness was always bestowed on the poor, needy and the people at the lowest rung of the society. Both Hindus and Muslim festivals like Dusshehra and Moharram etc. used to be celebrated by Him. As in Shirdi, Thursday became a special day of celebration at Akkalkot. Like Shirdi Sai Baba, Swami Samarth of Akkalkot was fond of mass feeding. Once, on his visit to a place called Rampur, a devotee named Rawaji, to celebrate his visit, cooked food for 50 people. However, hearing the news of Swami Samarth's arrival hundreds of people from the neighbouring villages started rushing to the village. Seeing such a large number of people at his doorstep Rawaji became visibly panicky. Moved by his plight, Swami Samarth asked Rawaji to get some empty baskets. When the baskets were brought from the market, idols of all the deities like Khandoba, Annapurna, etc were put in them and food materials like chapatis (bread) etc. were piled over them. Bawaji and his wife were asked to carry these baskets and take three rounds around the Tulsi plant. After that, they were asked to serve food from these baskets to the guest without looking into them. When food were being served, Rawaji and his wife were amazed to see that the baskets never exhausted even after a few hundred people had been served. After all the people who had come finished their meal, Swami Samarth took his meal. This is known as 'Annapurna Siddhi'. Swami Samarth had the capacity to read the minds of all the people coming to him and also was able to know about their past and future. Baba Saheb Jadhav, one of his great devotees one day came to meet the Master. Seeing him suddenly Swami Samarth said "Oh Potter! There is a summon coming in your name”. The potter being in the close circle of Swami Samarth understood the meaning of this sentence and begged of the Swami to save him from the approaching death so that he could continue to serve him (the Master). Moved by his devotion Swami Samarth looked-up towards the sky and muttered something as if he was addressing to someone who was invisible. Suddenly, he pointed his hand towards a bull passing nearby and said in a loud voice "go to the bull". In the presence of a large number of devotees, the bull instantly fell dead. Jadhav, with a fresh lease of life, devoted himself totally to the service of Swami Samarth thereafter. Similarly, A European engineer from Solapur visited the Swami with the earnest hope of having a son. As he approached Swami Samarth, the latter just looked at him and told that he would have a son within a year. That is what exactly happened. The Sadgurus or the Spiritual Masters always endeavors to change the quality of men that encounter them. Besides bestowing material benefit, they try to uplift them spiritually. Once a Jewish doctor, who was working as an eye specialist in the J.J. Hospital, Bombay met Swami Samarth. The doctor was very proud of his professional competence. Seeing him Swami Samarth asked "tell me doctor, how many of the eye patients you have treated have lost their eye sights for ever"'. This sentence made a tremendous impact on the doctor. He realised that many people had lost their sights forever even if they had been treated by him. His ego immediately vanished and thereafter he became a devotee of Swami Samarth. After retirement the doctor settled-down at Akkalkot and served the Master till his last. It is said that a touchstone can convert an ordinary metal to gold. The Spiritual Masters are such touchstones that they can convert any ordinary metal not to that of gold but to that of a touchstone. They are capable of giving spiritual life to any person in a fraction of a second by a touch, a look, a word or even by a mere thought. A person like Ramanand Bidkar who had lived an immoral life for a long period was converted to a Saint called Bidkar Maharaj by the kind grace of Swami Samarath, who by one grace i.e. Drishti Diksha evolved him spiritually. Under his guidance Sri Balappa Maharaj, Shri Gangadhar Maharaj, Sri Gajanan Maharaj and many others rose to spiritual eminence and contributed a lot to the society. After serving the poor, curing the sick and helping the spiritual seekers over a few decades, Swami Samarth one day suddenly announced that the time had come for him to go out of his physical existence. By Hindu calendar It was Chaitra Sudha trayodasi, Shaka 1800 i.e. the year 1878 AD Tuesday at 4 PM. At this time he seated himself in Padmasana (Lotus Posture) and uttered his last words - "no one should weep I shall always be present at all places and I shall respond to every call of the devotees"". Shri Sai Baba of Shirdi had also said exactly the same thing before his Mahasamadhi. Just before he had left his gross body, one devotee named Keshav Nayak who was emotionally charged, asked "Maharaj, since you are going, who will give us protection?". Swami Samarth gave him a pair of his sandals to worship. He told him "in future I will be staying at Shirdi in district Ahmednagar". Another devotee, Krishna Ali Bagkar decided to go to Akkalkot and worship the padukas of Swami Samarth. Thereafter he got a dream appearance of Swami Samarth who told him "now I am staying at Shirdi, go there and worship me". Bagkar went to Shirdi where he stayed for six months. Later, when he wanted to take leave of Shri Sai and go to Akkalkot again Shri Sai told him "what is there in Akkalkot, Maharaj of Akkalkot is staying here". 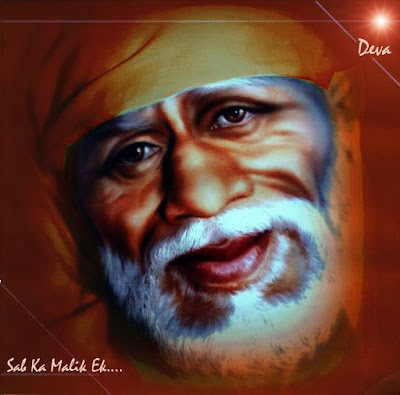 Bagkar realised that there is no difference between Swami Samarth and Shri Sai Baba of Shirdi as he recalled his earlier dream. The divine game (leela) of Swami Samarth did not end with his Maha Samadhi (shedding his mortal coil). His devotees continue to experience the miracles of his visible and invisible help even till today. It is exactly like the experience received by the devotees of Sai Baba of Shirdi after his Mahasamadhi in 1918. Many people have authenticated his appearance in physical form before them. These people are not the faith-blind rural folk. Many of them are well educated people like doctors, educationists etc. For example, Dr. S.V.Marathe, a private medical practitioner of Pune once underwent treatment in a chest Hospital at a place called Aundh in 1964. Many of his friends were anxious to come and visit him. At this juncture, Swami Samarth appeared before many of his friends in a dream and gave the same message to all of them. He asked them not to worry about Dr.Marathe, as he was under His (Swami Samarth's) protection and also not to come to Aundh. Hundreds of devotees continue to have miraculous experience about the Perfect Master even today. But his miracles and those of Shri Sainath are so alike that one would be drawn to the conclusion that they are not two masters but are one, and the ONLY ONE TRUTH.